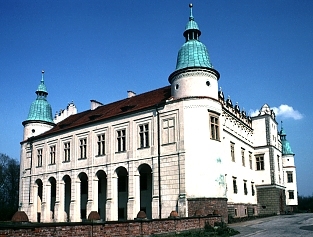 The palace at Baranów, designed by Santi Gucciego, was built between 1591-1606. Like many Mannerist buildings, all four facades of the palace are different. 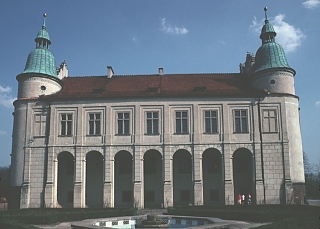 The garden is not aligned with the front entrance but is to the side of the palace. See the Palazzo del Te in Mantua for a similar alignment, typical of Mannerist architecture. 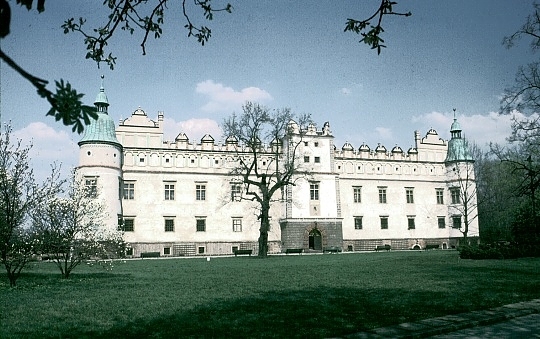 The Poles call Baranów a castle, perhaps because of the pseudo crenellations, perhaps because of the towers punctuating each corner. Unlike Renaissance palaces, this "castle" has an unequal third story and classical fluted columns on the third story supporting nothing! The door arch is heavily rusticated (though in wood). Note the "hanging" Ionic capital. 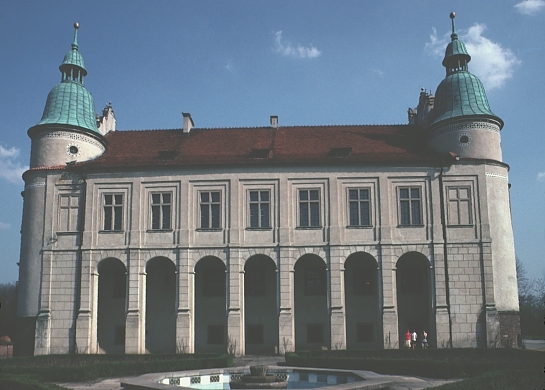 Mannerist architecture typically uses classical elements--but in eccentric ways. 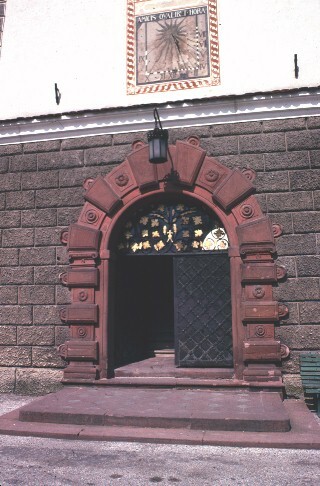 The sense of columns supporting the archway of the door is violated by the rosettes and protruding blocks. 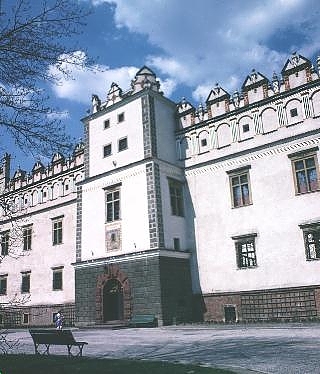 If you are still interested in Baranów Palace, the next page shows the interior courtyard and stairwell as well as some wonderful Mannerist details.